The Samsung Galaxy A5 (2017) features a 5.2-inch Super AMOLED display that supports full HD (1080p) resolution. There’s also a 16-megapixel camera on the back, along with a no less impressive 16-megapixel camera in the front, both featuring f/1.9 aperture.The Galaxy A5 (2017) has 1.9 GHz octa-core processor at its heart, coupled with 3GB of RAM and 32GB storage (expandable up to 256GB). It’s also powered by a large 3,000 mAh battery and features fingerprint sensor, USB Type-C port and IP 68 certification. 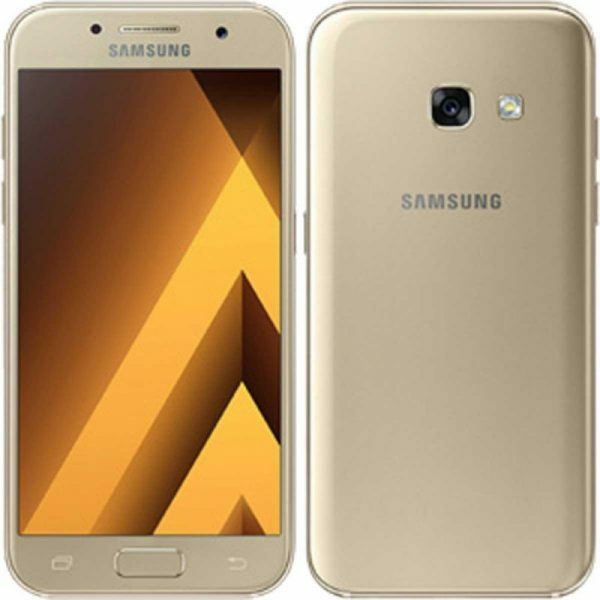 See the Samsung Galaxy A5 (2017) Specifications, Features & Price below.